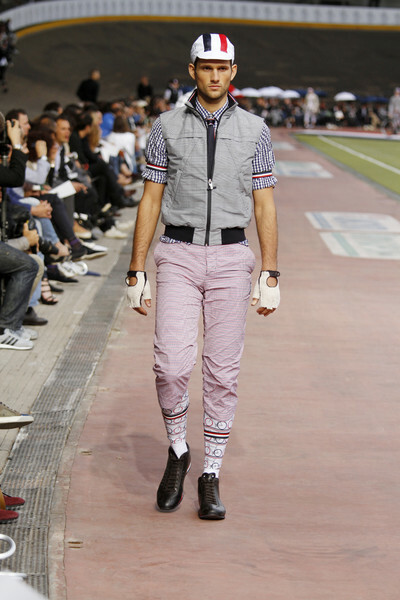 The Moncler fashion was held at Velodromo Vigorelli in Milan. This sports venue, where the Beatles performed in 1965, is mostly used for American Football events. Yet this afternoon the area was one big catwalk. Due to the circular shape the models had to walk in circles and while the area was so big all guests were lucky to have a front row seat. 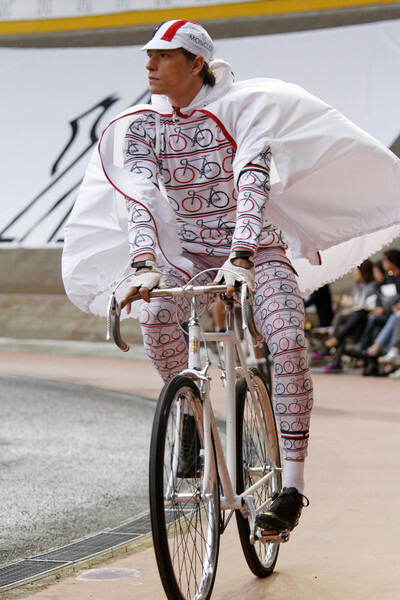 The theme of the show, the Tour de France, matched perfectly with Moncler’s sportive heritage. To the sound of Queen’s ‘I want to ride my bicycle’ the first model appeared on – surprise – a cycle. 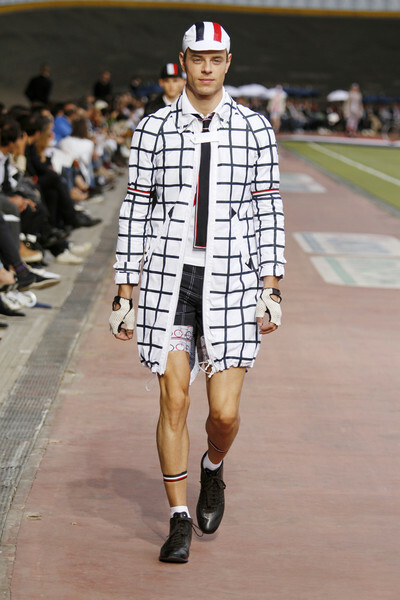 He wore a coat with a special bike print which we were going to see much more throughout the collection. 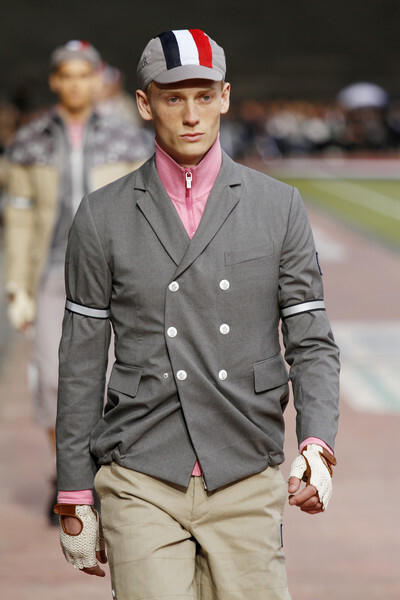 As a matter of fact this print was visible in almost every look. 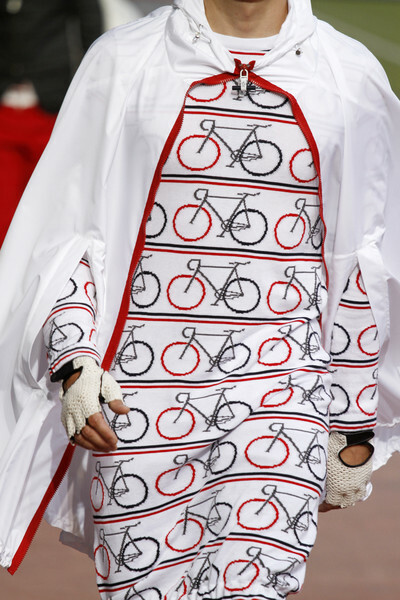 All models wore a cycling legging with the bike print on it. They wore those leggings under their shorts and normal trousers. 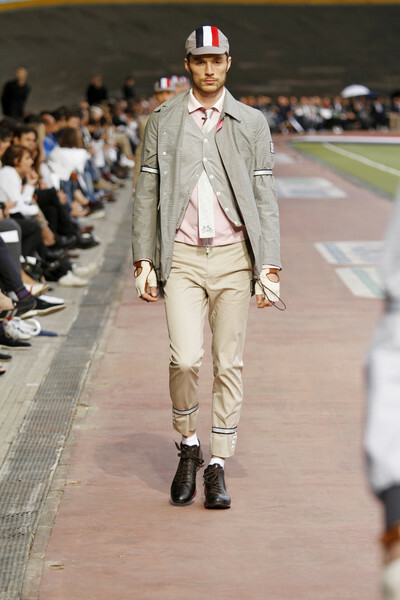 It didn’t really make sense, yet it gave the looks a sporty touch (as did the lines, hoods, drawstrings, pockets and the bands on the model’s arms and legs). 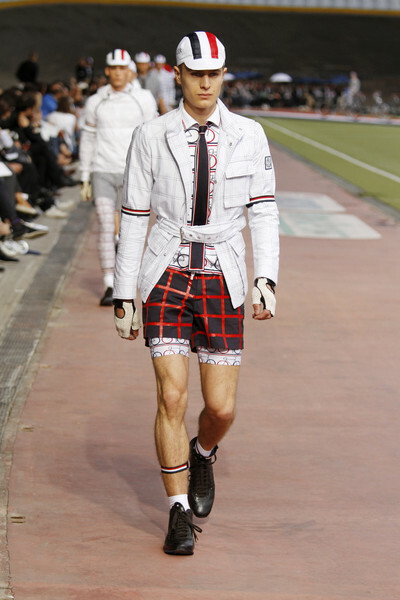 To finish the outfits Thom Browne added some cycling gloves and ties with a straight end. 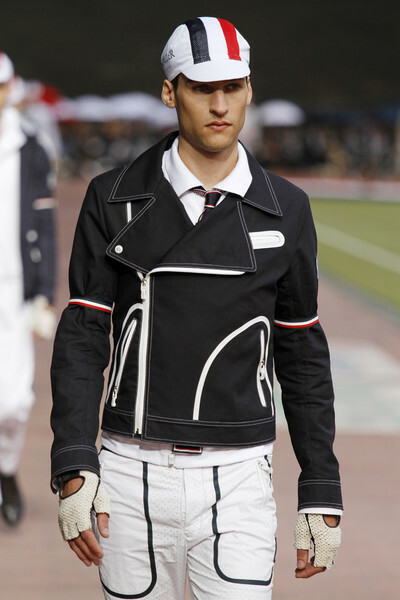 Also, every model wore a cap with the French flag on it. The red, white and blue, pink, gray and black looked al right together, yet the way the clothes were layered was just wrong. 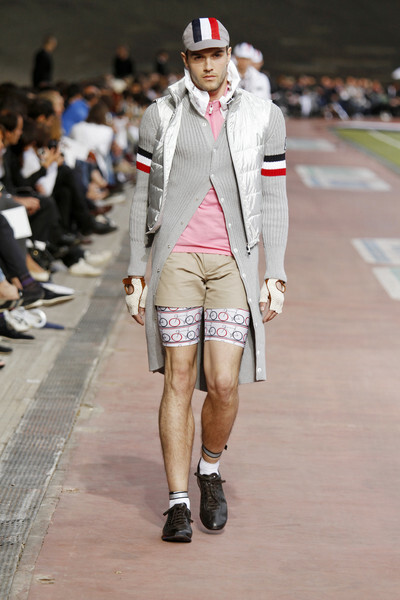 Swim trunks over bike shorts?! 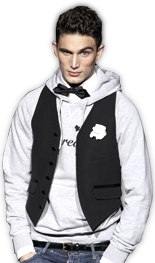 Still, all individual items would have looked great when combined differently, with more basics. So the styling was off, but the great show venue, the cycling models and the free drinks and umbrellas made the show worthwhile.